Home / Miscellaneous / How About Some Turkey Pizza? 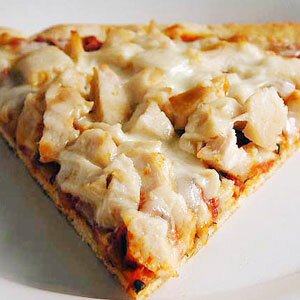 How About Some Turkey Pizza? 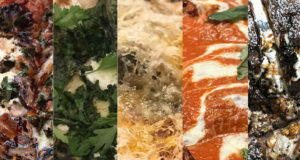 It was just over one year ago that I started I Dream Of Pizza, so I thought I’d take a moment to blow out the candles on my pizza birthday cake and also direct you to one of the first entries on this site: Why I Love Pizza – A Personal Essay About My Favorite Food. I wouldn’t call it a great piece of American literature, but it does chronicle my life long love for pizza. And it is what is hopefully only the first chapter in a long life filled with happiness and a ton of pizza (the two are not mutually exclusive, by the way). Today — on Thanksgiving — I’m thankful for many things, one being all of the amazing pizza I’ve had the chance to eat over the past year. Right now, I’m finishing up some write ups about my pizza eating experience in Buenos Aires, which will appear on the site beginning next week. In the meantime, I’ve been thinking a lot about Thanksgiving pizza. To me turkey is kind of… bleh. I’ve had great turkeys before, but it’s not at the top of my meat list. This got me thinking — if you could somehow incorporate pizza into a turkey based recipe… well, now you’re talking!